This article is dedicated to the courageous people around our planet who have spoken out and written about these crimes. In the ultimate sacrifice, some have given their lives to report the TRUTH. “There’s a war going on covertly; and I want to know how it relates to the spraying.” ~ Catherine Austin Fitts. Over the past more than 15 years (depending upon where you live), there has been a secret – and criminal – global program of spraying toxic chemicals overhead. 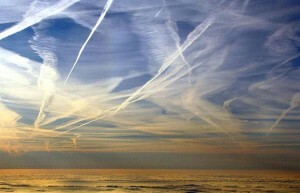 It began in the US, then NATO countries were added; but now this lethal aerosol spraying covers the entire globe. Military, private, and commercial planes are used to dramatically change – geo engineer – our global weather. Without any public discussion or news reports, the US military began a highly toxic and on-going assault on us.